Distributed systems are unpredictable, and it can be an enormous challenge to manage around potentially-crippling obstacles like hardware failures, unanticipated changes in load, and network issues. Amazon Web Services (AWS) is a platform for hosting distributed applications in a secure, flexible cloud environment. AWS provides a suite of services designed to keep the focus on what an application does instead of the infrastructure required to run it. Whether serving up blog pages, analyzing fast data in real-time, building software as a service, or implementing a massive e-commerce site, AWS provides both a stable platform and services that will scale with every application. 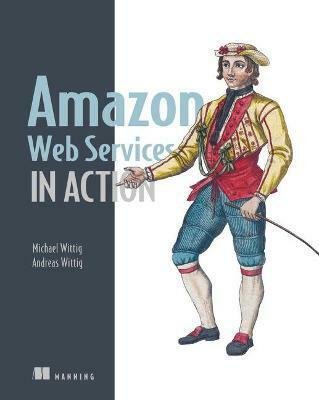 Amazon Web Services in Action introduces readers to computing, storing, and networking in the AWS cloud. It starts with a broad overview of AWS, and shows how to spin up servers manually and from the command line. Then, it explores infrastructure automation with the AWS CloudFormation service, where readers can describe a blueprint of their infrastructure as code. Readers will learn how to isolate systems using private networks to increase security, how to use the most valuable AWS managed services available on AWS, and about the benefits of stateless servers. In the end, they'll look to the AWS model for high availability, scaling, decoupling with queues and load balancers, and fault tolerance. Written for developers and DevOps engineers who are moving traditionally-deployed distributed applications to the AWS platform. No experience with AWS is required. Amazon Web Services is a platform of services in the Cloud to provide everything needed to run applications-from hosting a private blog, to running one of the biggest websites on earth, analyzing data for cancer research, or providing business applications. Andreas and Michael Wittig run a consultancy focused on AWS and web development. Together, they migrated the complete IT infrastructure of the first Bank in Germany to AWS. They have expertise in distributed system development and architecture, with experience in algorithmic trading and real-time analytics. They are proponents of the DevOps model.